Twenty-five-year old Biwar Abdullah is a Kurdish-Iraqi amateur footballer who has become a popular figure in his hometown for looking like Juventus star Cristiano Ronaldo. 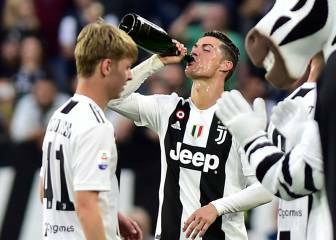 Biwar Abdullah, de 25 años, es un futbolista local kurdo iraquí que se parece o intenta imitar al futbolista de la Juventus, Cristiano Ronaldo. ¿Se parecen?